The number of refugees in the world today, more than 65 million, is so large it’s nearly impossible to even imagine — so large that nobody can fully comprehend the pain, the suffering, the struggle of every individual. And that’s where the research of UO psychology professor Paul Slovic comes in. He researches why, exactly, it’s so common for people to ignore mass suffering in the world. He described the effect, which he calls this effect psychic numbing, in a recent interview with Vox. Slovic said he tries to use his research to change public behavior. He knows he can’t solve the problem himself, so he hopes his studies will inspire others to spur change. 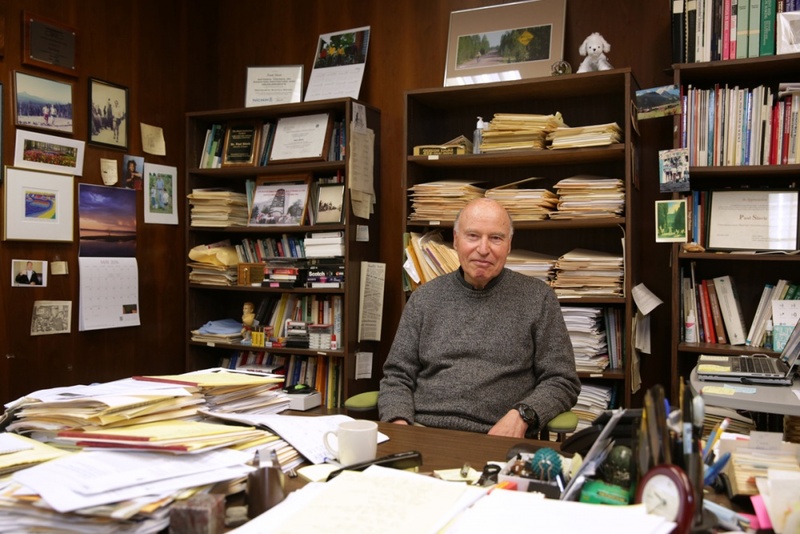 Slovic has been at the UO since 1986 and currently serves as an advisor for student research projects. He is also a founder and the president of Decision Research, which is dedicated to helping people understand and cope with the complicated decisions in everyday life. It consists of 12 research scientists spanning four countries.